Defense Secretary Ash Carter on Thursday reiterated his intention to allow transgender people to openly serve in the military, and said he's confident any "practical issues" can be resolved. "The question of principle we've sort of settled — what matters is people's ability to contribute to our military," Carter said when asked about the military's transgender policy in a question-and-answer session with cadets at the Air Force Academy. "The only barriers we should ever erect to that principle are ones in which there are practical issues that we can't work through." But Carter said he's sure the Defense Department will be able to resolve those issues in this case. "We do things in a careful, thoughtful manner, and I'm confident we're going to get to the right place," Carter said. Carter did not specifically reference what has yet to be resolved. But before the "don't ask, don't tell" ban on gays in the military was dropped five years ago, some troops raised concerns about bunking and using facilities such as bathrooms showers with gay or lesbian troops. The nation is currently in the midst of a controversy surrounding laws in states like North Carolina that restrict which public bathrooms transgender people can use. The state and the federal government are now suing each other over the dispute. Those may be some of the issues that have to be worked through for transgender troops to serve openly. The Pentagon may also have to sort out other, military-specific questions, such as when transgender troops begin adhering to a new dress code and grooming standards, how their fitness standards would change, and whether the military health care system would provide them with hormone replacement therapy or gender reassignment surgery. 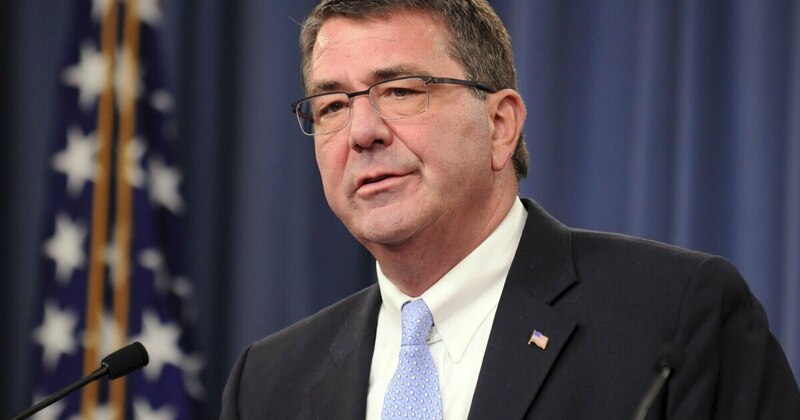 Last July, Carter announced a plan to lift the prohibition on transgender troops. At the time, he said the current regulations "are outdated and are causing uncertainty that distracts commanders from our core missions. Defense regulations now consider transgender people medically unfit for service. They can be separated honorably if diagnosed with "psychosexual conditions, including but not limited to transsexualism, exhibitionism, transvestism, voyeurism, and other paraphilias," according to Defense Department Instruction 6130.03. Carter last summer also announced a new policy requiring the Pentagon's top personnel official to sign off on any administrative discharges for troops diagnosed with gender dysphoria or who identify as transgender. That was expected to limit or halt such discharges. Up to 15,000 of the roughly 2.2 million active-duty and reserve troops now serving may be transgender people, according to estimates from advocates. Carter also told the cadets that as Air Force officers, they will face at least five major challenges in the Air Force: Countering Russian aggression, managing the Asia-Pacific region, deterring North Korea and its nuclear saber-rattling, checking Iranian influence in the Persian Gulf, and defeating the Islamic State in "its parent tumor in Iraq and Syria and everywhere it has metastasized around the world." And Carter noted that on Friday, Gen. Lori Robinson will take charge of U.S. Northern Command, making her the first woman to lead a combatant command. He cited Robinson as an example of why diversity helps the military. "The Air Force has proven time and again that we are strongest when we draw from the entire strength of the nation," Carter said. "Females, after all, make up half the population. It would be foolish to pass over qualified people for any reason that has no bearing on their ability to serve with excellence." Carter also told cadets that remotely piloted aircraft are "here to stay" and are certain to become even more important to the Air Force. "It is the most visible part of every day of mine and every night of mine," Carter said. "If you join that career field, I guarantee you you will have a lot of action that will be very satisfying. It's very clear that you're doing something of great consequence." But Carter said the military has worked RPA airmen too hard, and taken instructors out of classrooms to help fill demand on the flightline. "We're squeezed now," Carter said. The Air Force now flies 60 combat air patrols each day. But in March, Air Force Chief of Staff Gen. Mark Welsh said the service planned to add another 10 CAPs, using contractors to fly intelligence, surveillance and reconnaissance missions. Army RPA pilots flying their Gray Eagle drones and U.S. Special Operations Command drone operators would get the number of daily CAPs up to 90, Carter said. Andrew Tilghman contributed to this report. Stephen Losey covers personnel, promotions, and the Air Force Academy for Air Force Times. He can be reached at slosey@airforcetimes.com.